A Retrospective on the 16th Worldwide Routes Conference from Vancouver. Chris Cain reports. 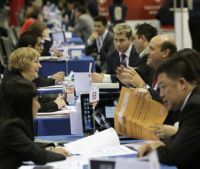 The 16th annual Routes Worldwide global ‘speed-dating’ road-show took place in Vancouver last week, one of North America’s most attractive and liveable cities. What follows are some reflections on a very successful and enjoyable event for those able to be here. And there are signs that the conference could mark the turning point for the aviation industry as green shoots begin to appear following a long cold commercial winter caused by a combination of the worldwide economic downturn, a series of external shocks (oil prices rises, volcanic ash and on-going security concerns) and the unjustified pariah status accorded to aviation in the global political debate about climate change. 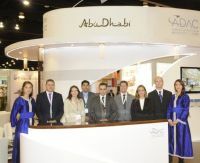 With 250 airlines, 450 airports and 125 tourism authorities and governments attending, Vancouver was the largest Routes conference yet and quite an act for future hosts Berlin (2011), Abu Dhabi (2012) and Las Vegas, which was announced as the 2013 venue during the event. The Conference venue, the new C$1bn Vancouver Convention Centre, set new standards for space and ambiance, being quiet, efficient and comfortably able to accommodate the large and ever more imaginative exhibitor stands (first prize going to the Scottish Government’s striking modern “igloo” dressed proudly in national colours and several fine whiskies on offer to boot), four co-located conferences and the meeting halls and rooms which provide the venues for the crucial face to face meetings between airlines and airports which remain the core of the event for most delegates. It also offered a spectacular setting for those wishing to take a break from the hurly burley of the conference, providing a superb viewing platform as it does for Vancouver’s lifeblood, the Fraser River, a hive of activity encompassing an eclectic mix of ‘float’ planes, passenger ferries, cruise liners, cargo ships and leisure craft against a spectacular mountain backdrop. 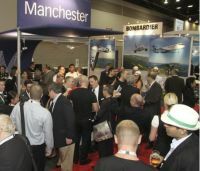 But even more notable than this was the genuine warmth of the welcome offered to the 2,500 delegates by the host City, the Government of British Columbia and the lead sponsors the Vancouver Airport Authority (YVR). And the way this was effortlessly combined with efficient management of a wider event programme – including the gala dinner (complete with ticker tape and flashing glasses), city tours and visits to the Boeing factory at Everett across the US border. 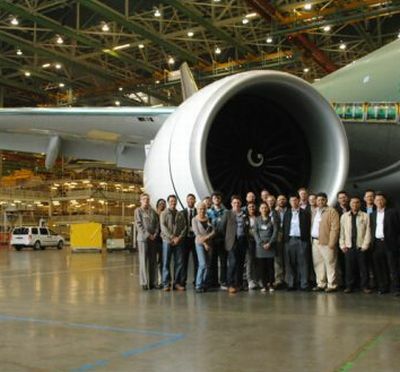 The programme of co-located aviation conferences was also substantially enhanced, offering insights into the air cargo sector, the symbiotic relationship between air transport, tourism, airports and economic development. The GASS Summit was also an opportunity for industry leaders to meet and discuss the latest challenges facing the sector and share their thoughts on the strategic direction of travel required if the emerging green shoots are to grow into a sustained and robust recovery. So what were the key highlights? Well firstly what was striking is the truly global nature of the event, reflected in the increasing presence of African, Asian, Indian and South American delegations and national and regional governments. Numerically the host continent and Western Europe continues to have the biggest presence, but in terms of ambition and importance there is no doubt that the rest of the world has understood the importance of good air transport links and is aggressively setting its stall out to catch up with the market leaders. There was the usual well orchestrated programme of route announcements of deals struck before the Conference began and noted in AERBT above. The Orbis Social Responsibility award went for British Airways charity work in partnership with Comic Relief. But it was also notable that many airport delegates were commenting upon the heightened interest of airlines in considering new markets, which a year ago they would have regarded with much greater caution. The proof of this greater optimism is real and tangible, and will come in a number of new routes which emerge later in the year and in 2012 often started from meetings held in Vancouver. There were also clear signs of continued alliance building, including between legacy and low cost carriers, and that some influential low cost carriers (Jet Blue, Norwegian, Ryanair and West Jet to name but four), perhaps responding to the operational efficiencies prospectively offered by new aircraft models, are beginning to look seriously at the hitherto difficult problem of developing a viable long haul low cost business model. These new ideas seem unlikely to take exactly the same form as pioneering initiatives by Asian, Indian and Australasian carriers, but it will be interesting to discover whether a model which is sustainable and can stimulate growth in larger and more mature market sectors such as those across the Atlantic, and how incumbent network carriers in Europe, North America and latterly the Middle East will choose to respond. But finally, and most notably, given the apparent indifference shown by some leading European Governments to the travails that the industry has faced over the last two years, with many airlines still struggling financially, and their rapacious appetite to find new ways to tax air travel, was the announcement by Gordon Campbell, Premier of the Government of British Colombia, that it is eliminating the jet fuel tax for international flights on 1 April 2012, saving airlines an estimated US$20m in 2012/13. This was matched by a five-year incentive programme covering landing and terminal fees to encourage airlines to a new capacity by its principal airport authority. Following the lead provided by the Dutch and Belgian Governments in reducing Air Passenger Duty earlier in the year, it is to be hoped that the British Columbia initiative sends out a signal to the less enlightened amongst their counterparts that aviation is crucial for doing business, increasing tourism revenues and improving connectivity in an ever more globalised and competitive world. Hopefully by the time of the next conference in Berlin, the industry will have got this message across and is facing a more benign economic and fiscal environment in which it can restore profitability and facilitate growth.